Whenever people ask me where I’m originally from they always seem so surprised when I respond “Orlando, Florida.” The next question is undoubtedly “Woah! What brought you to Charlotte?” Well, the answer is…I love the mountains. In fact, I fell deeply in love with North Carolina mountains in college and even spent a summer as a camp counselor in the wilderness. And some of my very favorite hobbies include camping (the more primitive the better), hiking, rock climbing, rafting and more. Anyway, when I graduated from University of Florida I landed a sales job that offered 21 locations that I could choose from and although I had never even been to Charlotte I picked the city because of the proximity to the mountains. I figured I’d only stay for a few years but then, well, I met a boy. That was a long-winded introduction to my favorite closest hiking spot — Crowders Mountain State Park! Most of our hiking is done in the Blue Ridge Mountains about two hours away but when we’re feeling antsy to get outdoors we head straight to Crowders Mountain which lucky for us in our backyard about 30 minutes away. The kiddos still aren’t old enough to make the trek so Matt, Charlie and I recently sneaked away for a quick day hike. The leaves in Charlotte are just beginning to change color and the weather was unseasonably warm which made our trip pretty much perfect. 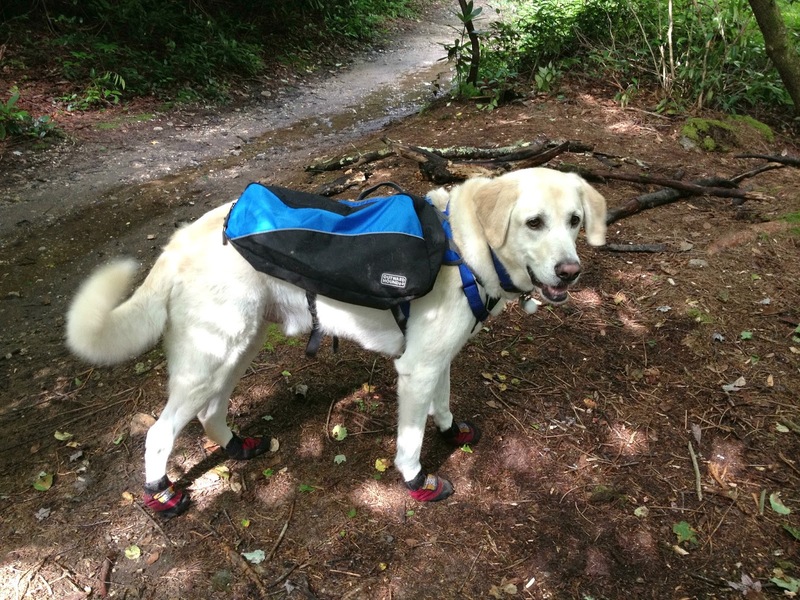 Hiking is Charlie’s happy place too and carried his doggy pack (of water and a tennis ball) up and down the mountain like a champ in his hiking boots. There are so many things to love about Crowders Mountain State Park, but my favorite is the 25- mile views of the surrounding piedmont from the peak! You can choose between an easy or challenging hike to get to the top of the mountain and for this journey we decided to take the easy route. Only once, six years ago, we chose the challenging hike. It was definitely strenuous at times but it was worth it when we arrived to the peak…and Matt proposed. 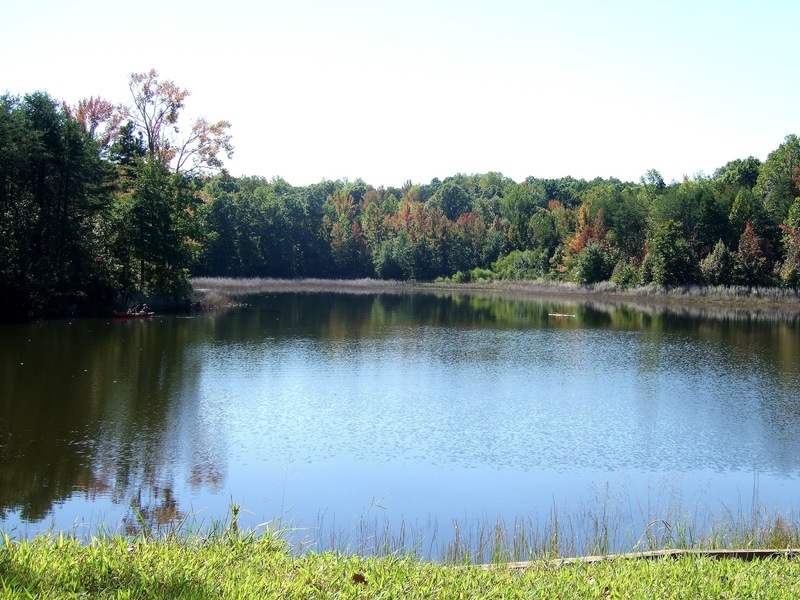 In addition to multiple hiking trails, Crowders also offers a nine-acre lake for fishing or canoeing. We picnicked here after our hike and relaxed before returning home! I was invited to participate in Hike NC! by Blue Cross and Blue Shield of North Carolina and received compensation for my participation. All opinions are my own. Hike NC! is an initiative aimed to make hiking an easier, more approachable experience for North Carolinians across the state. Hike NC! is the next step in BCBSNC’s Get Outside North Carolina (GO NC!) community program, which was created in 2012 to encourage North Carolinians to get outside and get active. Visit gohikenc.com to find a hike near you. I am also from Florida, but have several friends who have moved to NC after a visit! It's so beautiful! Ahh I love that you love mountains! My husband and I live out of our camper right now so we're all about camping, hiking, rock climbing, etc. We're currently staying in the western US but we want to come see the east side mountains sometime soon.